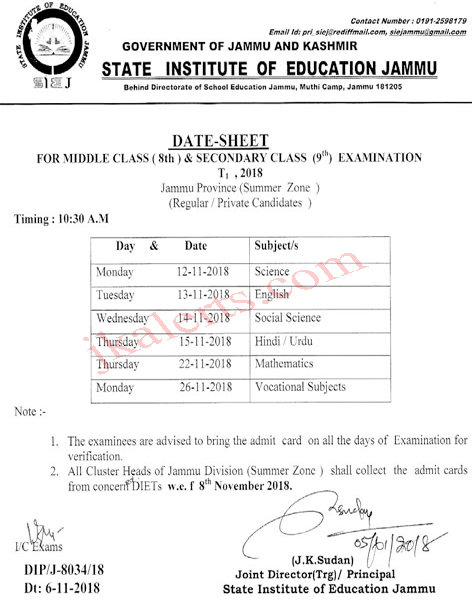 University of Kashmir Date Sheet M.A/M. Sc./M. Com.